9978-RB-DST is rated 4.6 out of 5 by 18. Rated 5 out of 5 by Sweets from Good is great! 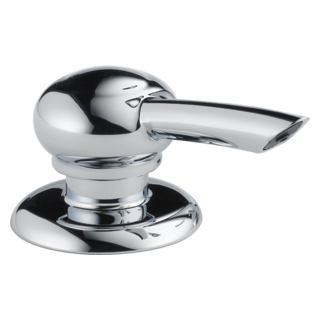 Delta faucets have a reputation of quality. After finally locating the style, the faucet was dripping and I needed to find out what parts I had to get. In the researching I noticed a few comments about the company backing their parts! The sent me the cartridge and just put it in! Easy and fast! Rated 5 out of 5 by TimbeleroDelNorte from Great Finish and Easy Install Installed This Great Faucet In My Kitchen and Was the Easiest Install I Have Ever Done. The Pex Tubing Lines Were Very Easy To Align and Cut With My Husky Pex Pipe Cutter. No Teflon or Copper Connections. No Leaks Either. Rated 5 out of 5 by skippy27 from great Easy install . Great look. Functions so much better than most pull downs with the magnetic head. Lifetime warranty. I thought it might be too big for my small bar sink, but it works and looks great. 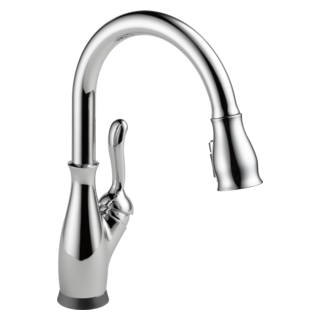 Rated 4 out of 5 by jluck from Loved this faucet meets the family need Have had this faucet installed for several years and love the features and the use of this faucet. Have started to have an issue with this faucet turning off and dripping. Rated 3 out of 5 by rgould1055 from VALVE FAILURE Have had this faucet 1 year and the valve for hot and cold is failing causing the faucet to leak. Before this failure, I was very happy with the faucet. 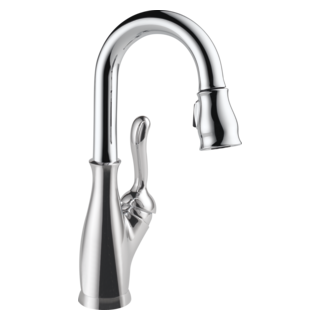 Rated 4 out of 5 by Coley from Nice Faucet I really like the style of the faucet. Looks very nice and sleek, but not too modern. 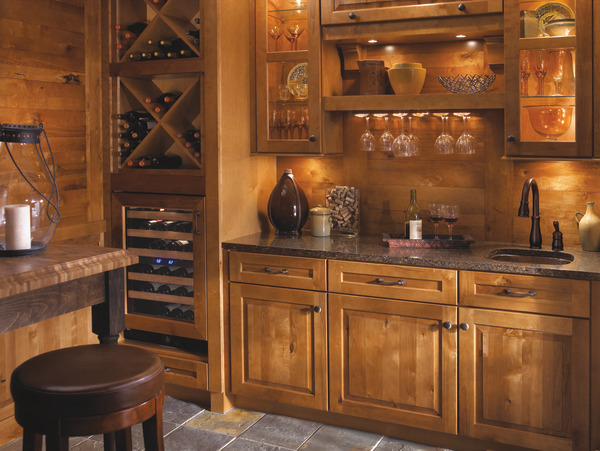 Rated 5 out of 5 by wolfwolf from great faucet love it! Looks great in the kitchen, easy to use, very powerfull. The only problem is to quit spraying my self - not used to how high the faucet is above the sink. 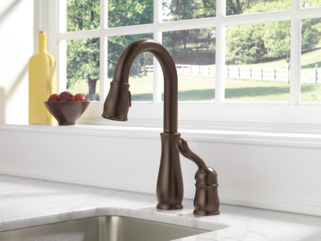 Would definitely recommend to anyone that needs a faucet in this color for the kitchen. Very classic looking. Could you use this in a sink with 3 holes and purchase a soap dispenser for the 3rd hole ? The handle has a set screw and no longer stays tight. Believe threads in handle are stripped. Can I purchase a new handle? Does the spray function continue without requiring continual hold of the button? Hi Jen, Thank you for your question. 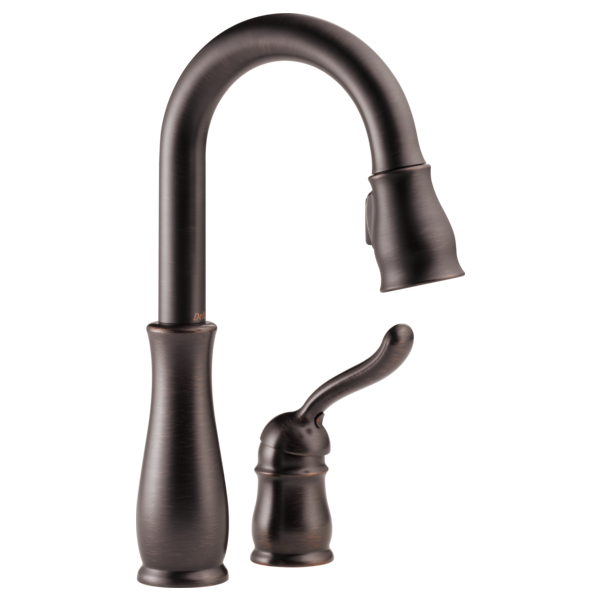 Delta Faucet model # 9978-AR-DST does not require you to hold the button down to change from spray to stream. It will stay in the spray mode until you switch it back to stream even after the faucet is turned off. 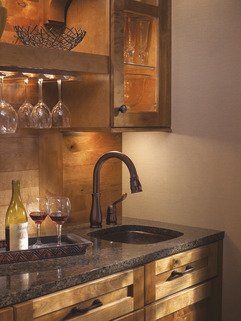 How long is the pull down hose on this faucet? is there any way to stop the faucet head from spinning all the way around? i dont see the point of having it facing 180 degrees from the sink, and my 5 yr old son thinks it is a water gun. Robin, thank you for your post. I have to admit, I chuckled at the joy your son must feel when he turns the faucet into a toy. Having a 6 year old, myself, I can relate to that! 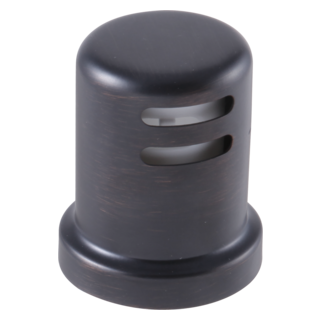 With that said, unfortunately there is not a stop that can be installed to restrict the swivel of the 360 degree spin. This picture shows that it toggles to spray, so just making sure it does? Thank you for your question. Delta Faucet model # 9978-DST does switch from spray to stream.